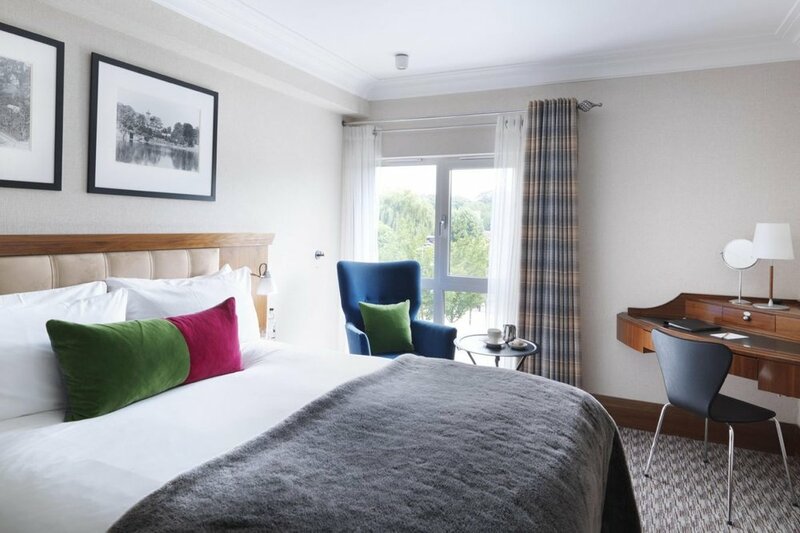 The Runnymede on Thames is a contemporary four-star hotel with an independent spirit, although with definite similarities to sister hotels The Athenaeum in Mayfair and The Gore London in Hertfordshire. 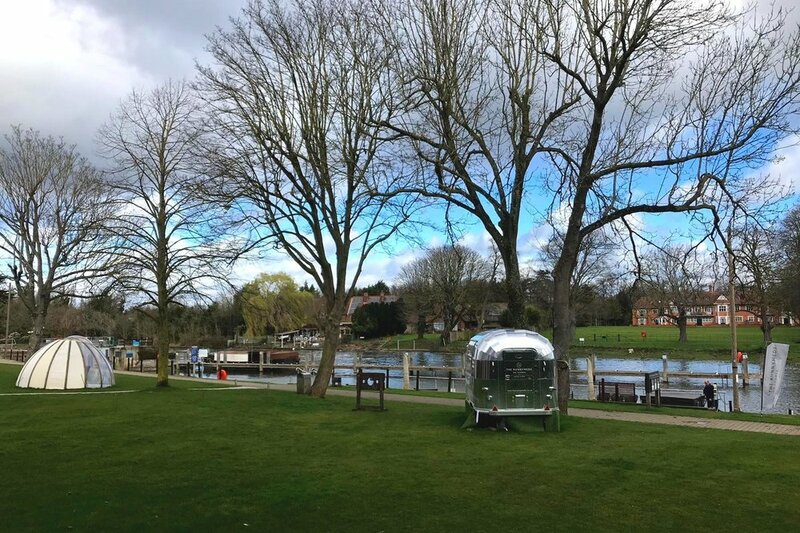 From start to finish, our stay at The Runnymede on Thames was truly flawless. From the modern design of the hotel to its stunning setting on the banks of the River Thames, this much-loved Surrey hot spot provided us with a beautiful escape from the stresses of city life. 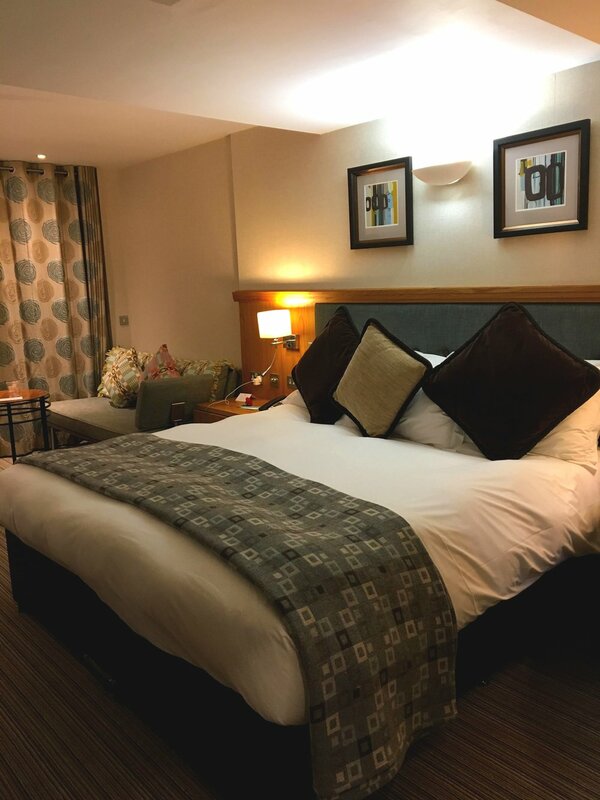 The hotel is conveniently very close to Windsor (great for cultural days out), just minutes in a car from London Heathrow Airport and 40 minutes from central London. The location really makes The Runnymede on Thames the ideal destination for Londoners in need of a mini break. 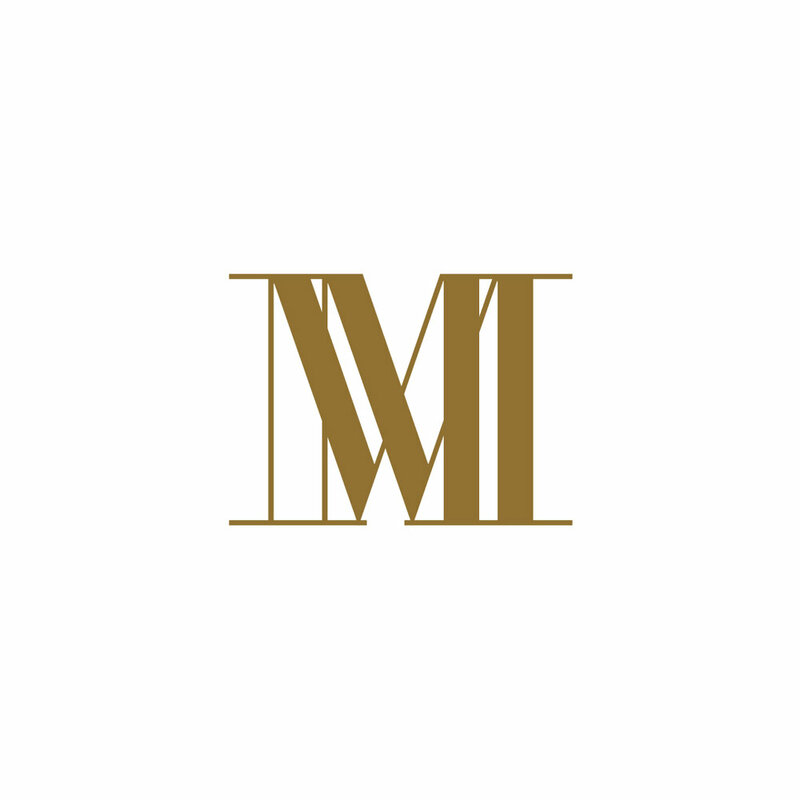 The design of the hotel is forward thinking, comfortable and stylish with a level of hospitality that is right up there with the 5-star hotels of central London. From the moment we arrived in early March, we enjoyed the relaxing ambience of the hotel and the buzz of happy hotel guests. After a fast and friendly check-in, we were shown to one of the three Duplex Rooms. 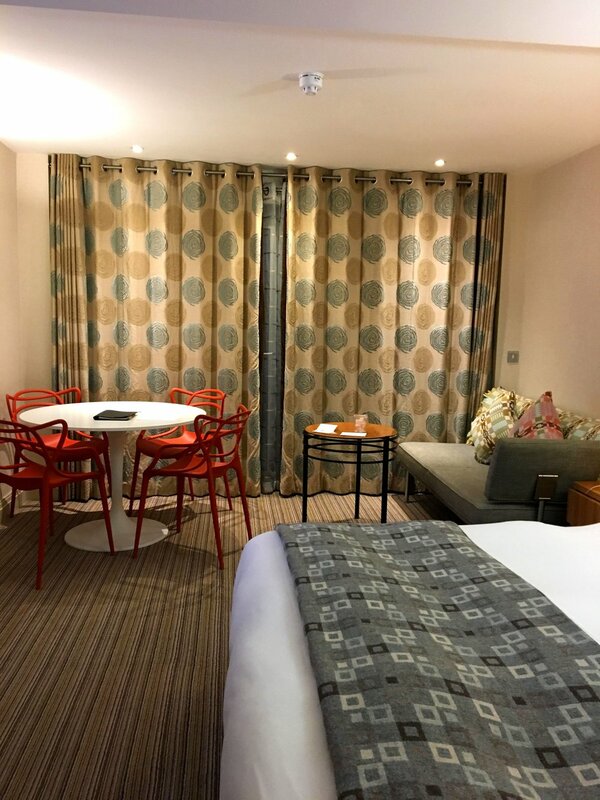 The bright and roomy main bedroom features a comfy king-size Hypnos bed (cue: the best night’s sleep i’ve had in months), as well as a bright and beautiful sitting and dining area with views of The Thames. There is a special little adjoining room with a day bed and an LCD TV - good if you need five minutes peace from your significant other who is singing The Outlander theme tune on repeat. With its own front door a reserved parking spot, the Duplex Rooms are more of a home from home than a conventional hotel room, which we loved. Duplex Rooms at The Runnymede Hotel are from £350. The spa at The Runnymede on Thames is one of the biggest i’ve seen in the UK, attracting regular local visitors as well as hotel guests. It’s a glorious entity in its own right. The spa is open late, which is fairly unusual and brilliant news for spa enthusiasts - 06:30 - 22:00 Monday to Friday and 07:00 - 21:00 on Saturday and Sunday. As well as the indoor and outdoor swimming pools, there is a warming whirlpool bath, infrared and traditional saunas, rejuvenating eucalyptus steam room, and many treatments on offer for both men and women. Luxury brands spotted: Guinot, ESPA and Jessica. The ESPA Mindful Massage (£85 / 1 hr 10mins) is a total treat for the mind, body and spirit. You’ll start with a foot massage before a soothing body massage is continued up through the body, finishing off with an energising scalp massage using warm Rose Quartz Crystals. It’s like a hug for the soul! 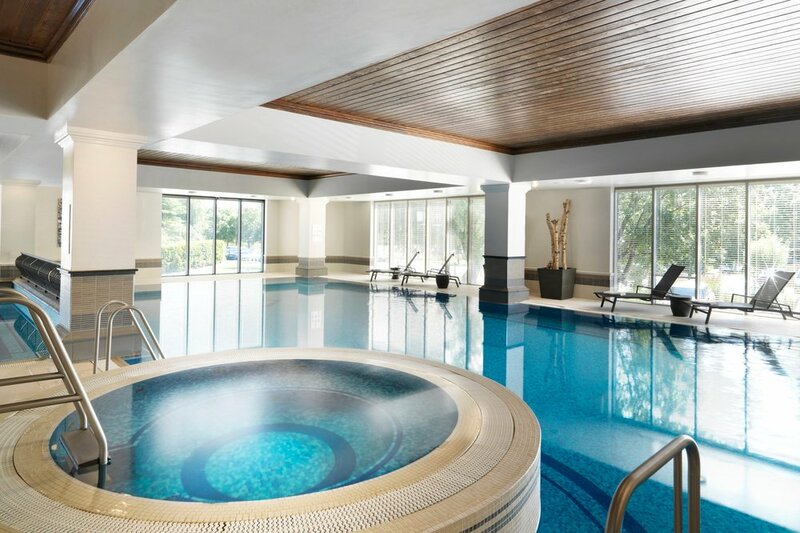 If you’re looking for a child-free, peaceful swim and whirlpool session, visit in the evenings and you’re likely to find the tranquility you seek - the hotel is family friendly so there are children in the main pool throughout the week during the typical family hours. 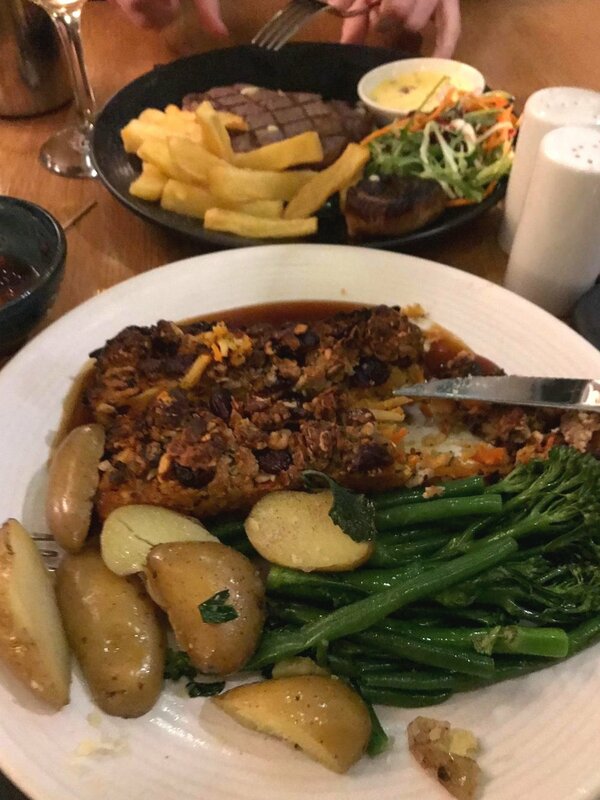 James and I were starving by the time dinner arrived, having travelled in from Paris where we got seriously delayed due to political protests and border strikes. Classic. I was ready for a feast. 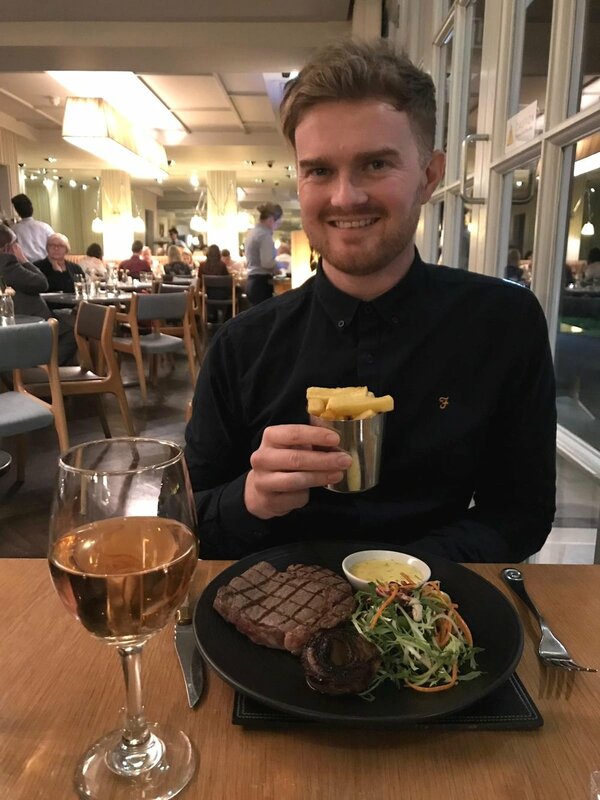 James, who has been actively pursuing the gym in recent weeks, threw the pre-summer diet out the window, opting for four courses and a rosé. Available for private hire for meal times: The Runnymede Igloo! The stocks are great for unwanted friends or family members. The food truck opens in the summer. This hotel is home to an extremely extensive breakfast buffet offering. I could not think of any breakfast item that was not there. Lots of vegan friendly options! The Lounge, offering relaxed dining in an all day setting with fabulous floor-to-ceiling views of the river. 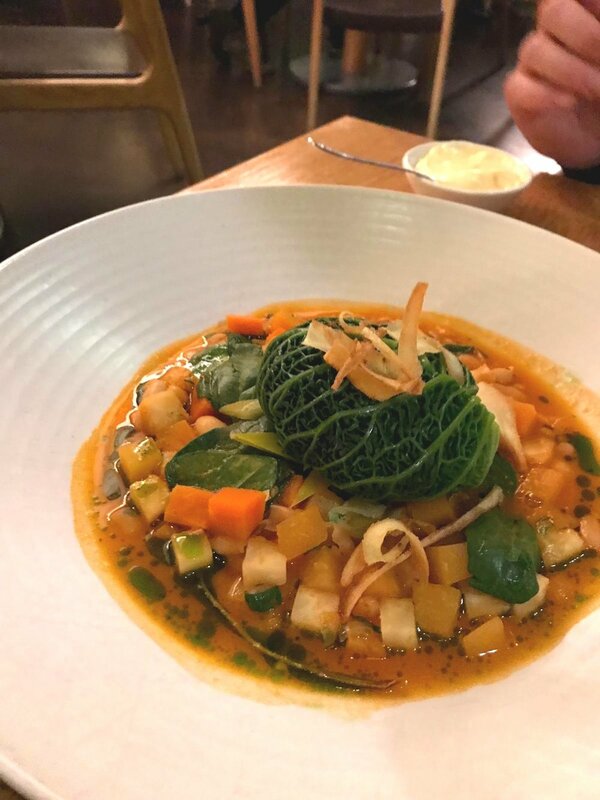 Alternatively, if you like a ‘help yourself’ sorta meal, head to The Leftbank Restaurant. Buffet-style eating means you can seriously go for it. Handy tip: wear loose clothing! Afternoon Tea. Perfect for those feeling fancy in the afternoon. Champagne optional. Spa Break Offers. Boss driving you mad? Kids left you exhausted and bedraggled? The hotel have curated some excellent spa packages for those in need of some serious relaxation. Family friendly. The hotel is right next door to Windsor Castle, Legoland Windsor, Thorpe Park, Harry Potter Studios and Chessington World of Adventures. It’s the ideal base for exploring both Berkshire and Surrey with the whole family in tow. There are lots of things to do locally. The Changing of the Guard takes place 5 miles away at Windsor Castle. Ascot Racecourse is just 7 miles away. Hampton Court Palace is 14 miles away. River Adventures. This is our favourite selling point for the hotel and the main reason we will be returning again in the summer months. Riverboats are available to hire in the summer months, perfect for a family day trip or romantic river adventure. Larger vessels are available to hire for events. Whirlpool by The Weir. The Runnymede owns a brilliant outdoor whirlpool, situated on a private jetty right on the banks of the River Thames. This is the perfect spot for Champagne sipping as you watch the ducks swim by and thank God you’re not at work. Nature on the doorstep. The Guest Relations can provide guests with bags of seed for the local ducks and swans, providing you with yet another excuse to ignore the work phone! Awesome gin cocktails. I can recommend the ‘Thanks Victoria’ cocktail (naturally) made with England Warner Edwards Rhubarb Gin, Fever-Tree ginger ale, garnished with vanilla infused ginger. It’s an excellent pick-me-up. 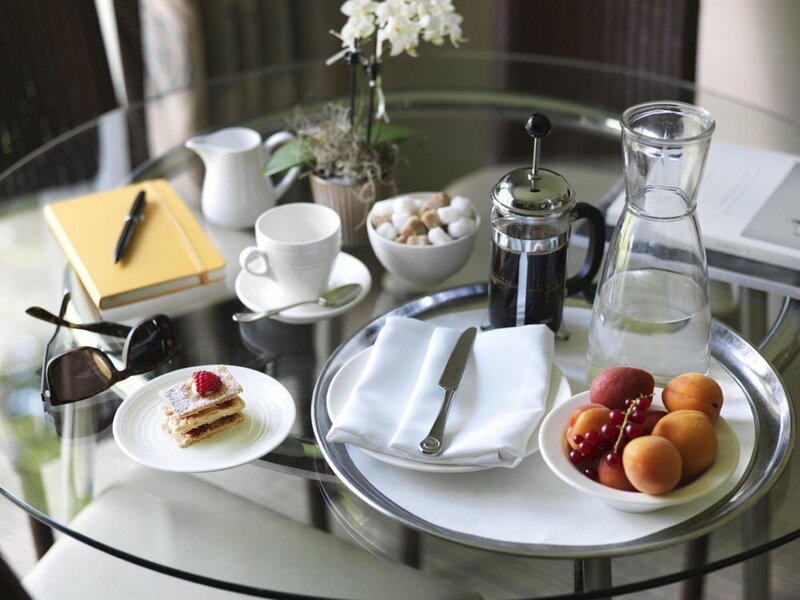 In-room dining is also available if you’d prefer a slightly quieter start to the day…in a fluffy white robe!